Our customers have been digging deep to raise money for Macmillan's biggest fundraising event. 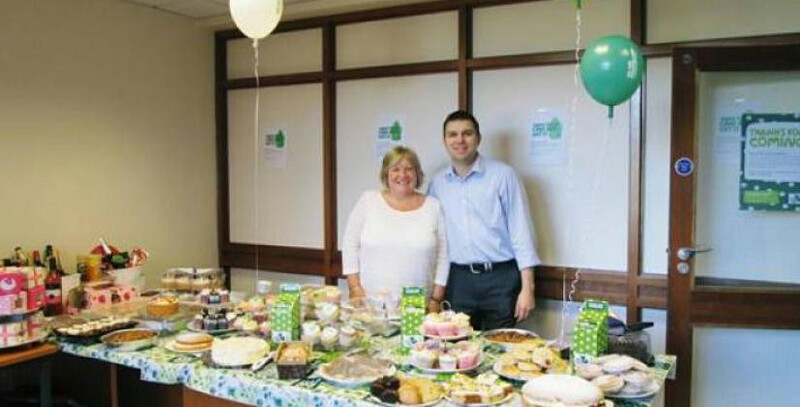 Some of our centres organised events for Macmillan Cancer Support’s World’s Biggest Coffee Morning last Friday. Staff, businesses and visitors enjoyed meeting up for coffee and cake to raise money for the worthwhile cause. At our Saddleworth Business Centre in Oldham, Macmillan coffee mornings are something of a tradition. Customer Fish.Net has been holding the annual event in its office at the centre for the past 11 years. Each year the web design and internet services firm fills its office with coffee and cakes for the morning and the whole team gets involved with raising money for Macmillan. At its first event, the fund-raising total was £231, but it has steadily grown in size and support and is now considered an unmissable event in the business centre’s calendar. On Friday, the company collected, £850 but with more people pledging support, it expects to raise a total of more than £1,000. A spokesperson from Fish.Net says: “We’ve become renowned for our delicious home-made cakes! The coffee mornings are a great excuse to meet our neighbours within the business centre, as well as clients and friends, and there’s such a buzz knowing that you’re also helping support Macmillan in their work with people affected by cancer. A large number of supporters donated cakes and prizes to the event and Ravenstone Catering provided all the cups and coffee equipment. Our Business Centre, in Hooton, near Ellesmere Port, also held a coffee morning. The event involved a large number of businesses in the centre as well as its neighbours. Organised by Sheila Bonney, from Notwork Network, a computer maintenance and consultancy firm, the event raised £615 on the day. The centre is keen to organise more events in the future to promote a sense of community among the businesses based there. Nationally, this year’s World’s Biggest Coffee Morning has so far raised almost £3.2 million.